AC Milan are currently busy battling for a Champions League qualification spot, but speculation suggests that they have several targets on their radar for the summer. The Rossoneri currently sit in fourth place in the Serie A table, but with Roma just a point adrift of them, it promises to be a fascinating end to the campaign to determine who makes it back to Europe’s top table next season. 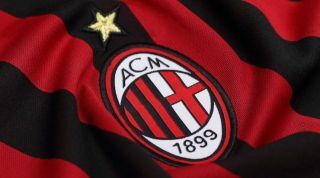 That will of course have an impact off the pitch too in the transfer market in terms of budgets and the calibre of players Milan are able to attract, but it has been suggested that the Italian giants are looking to continue to build a young, vibrant squad for the long-term future. As reported by Goal.com, via the paper edition of Tuttosport, seven names are being paired with a move to the San Siro this summer, although naturally not all of them will arrive. Allan Saint-Maximin, Everton Soares, Sandro Tonali, Stefano Sensi, Julian Weigl, Aurelien Tchouameni and Sergej Milinkovic-Savic are all specifically named in the report, and they all have a key factor in common in terms of their age given all are in their early 20s. Importantly though, with a mix of midfielders and wingers, those are two areas in which Gennaro Gattuso will hope to strengthen this summer, as they are arguably the two most glaring departments in which he is lacking quality and depth. Time will tell who arrives as the solutions, but ultimately Milan appear to have a very clear plan in place as they already boast one of the younger squads in Serie A with a whole host of young talent battling to take them back to the Champions League and beyond in the coming years.